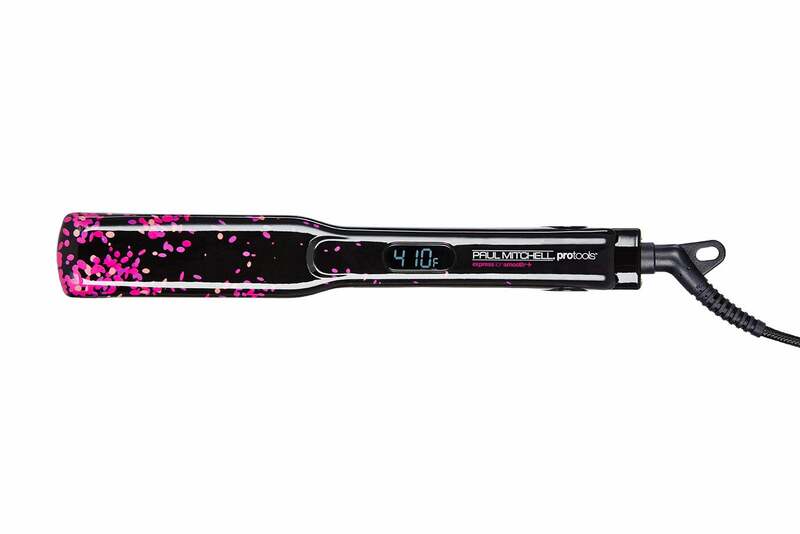 Bring the party to your hair with this pink confetti-embossed flat iron! It heats up fast (up to 410 degrees Fahrenheit in 60 seconds!) 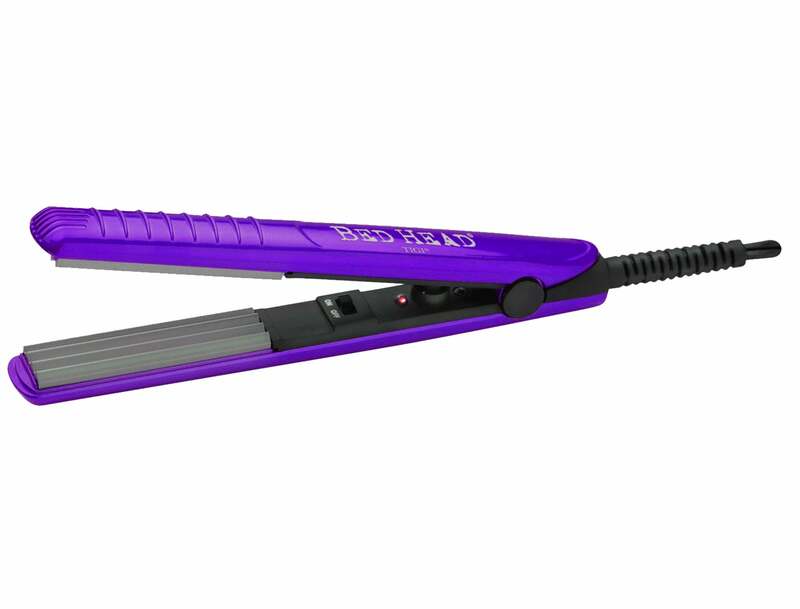 and contains beveled edges making it the perfect tool to quickly create flips and curls. Each one comes with a cute gold headband, in case you’re inspired to create any fun updo’s for a fun night out on the town. This is definitely not your grandmother’s pressing comb! 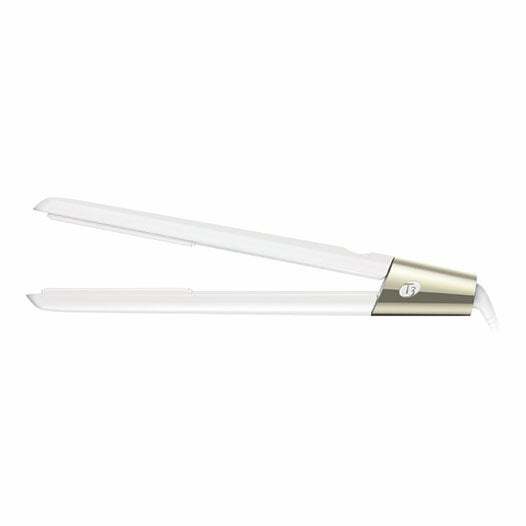 Not only can you plug it into the wall, but it also offers 20 heat settings (from 200 to 500 degrees Fahrenheit) making it the perfect hot tool to straighten roots and smooth those edges. 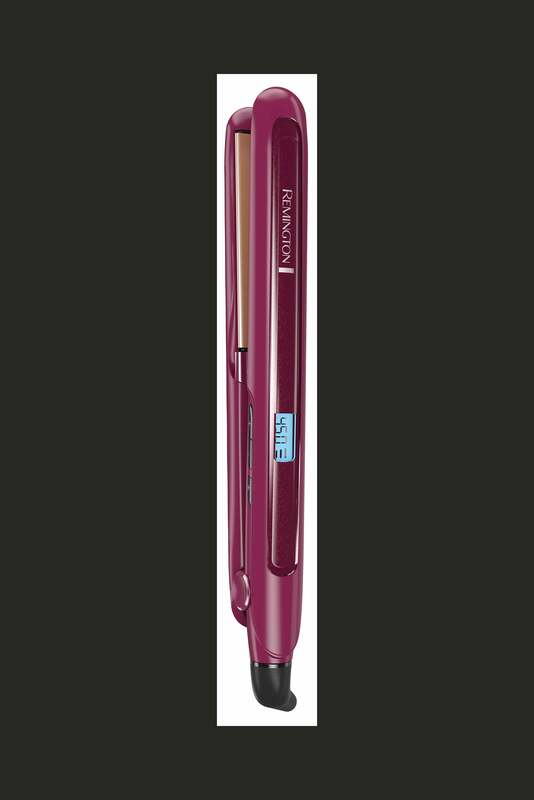 Flat ironing your hair is a breeze with this straightening iron! It contains Digital SinglePass technology which it enables it to maintain even, consistent heating along the barrel. Negative ions work to eliminate frizz, seal the cuticle and deliver shine. It definitely only took one pass (no tugging or pulling!) to straighten my naturally fine, curly hair and the swivel cord ensures that you’re able to style your hair from any angle. I love that it comes with two professional styling clips that help to section off and style the hair and automatically cuts off after about an hour in case you’re in a hurry and forget to manually do so! 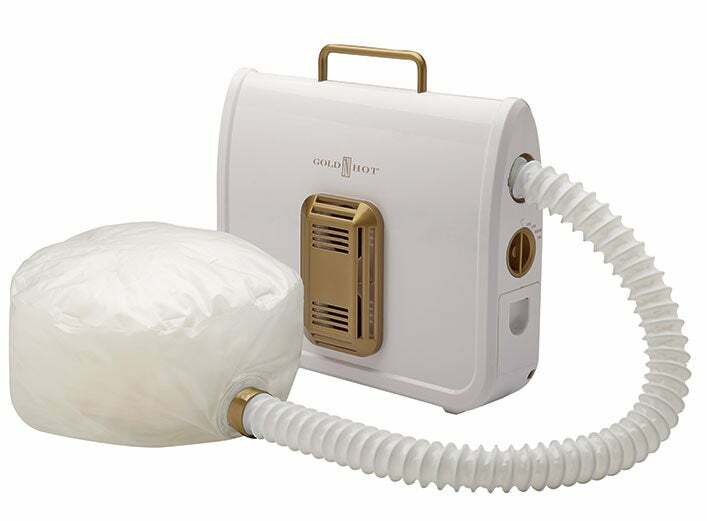 Keep heat damage to a minimum with this soft bonnet dryer that’s reminiscent of the kind you might find at salons. Perfect for roller sets, it can be used on any hair texture or style and its slim size makes it great for travel. 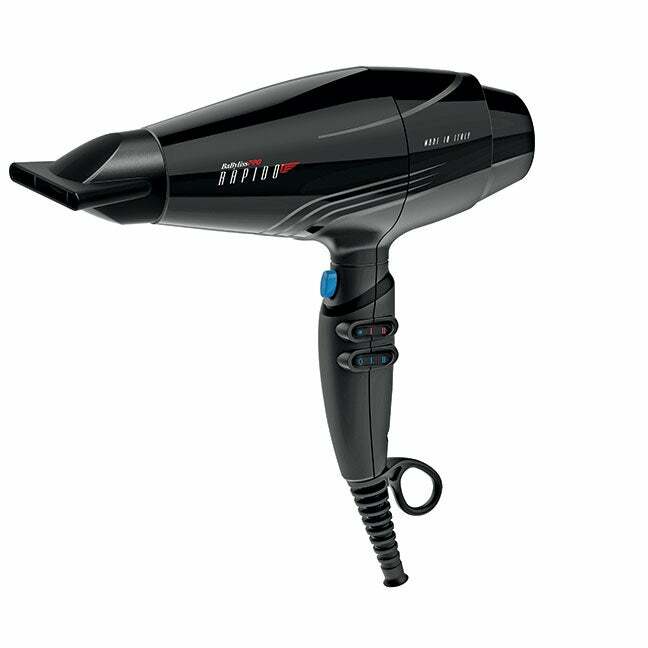 Negative ions are emitted to help the hair dry faster so you won’t have to worry about sitting underneath it for hours at a time. I get it: another set of reality stars with beauty products. I won’t blame you for rolling your eyes right about now. 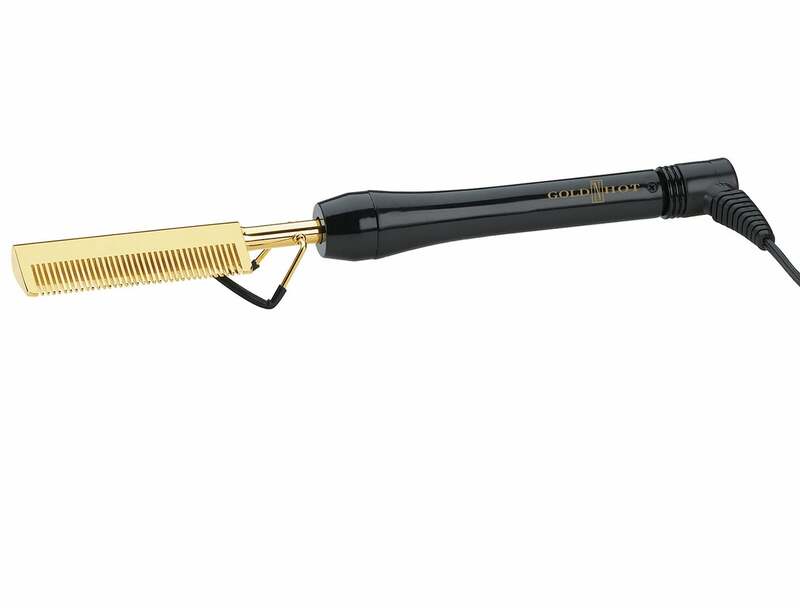 But, I have to give to the Kardashian girls: this hairstyling iron is a pretty great one! 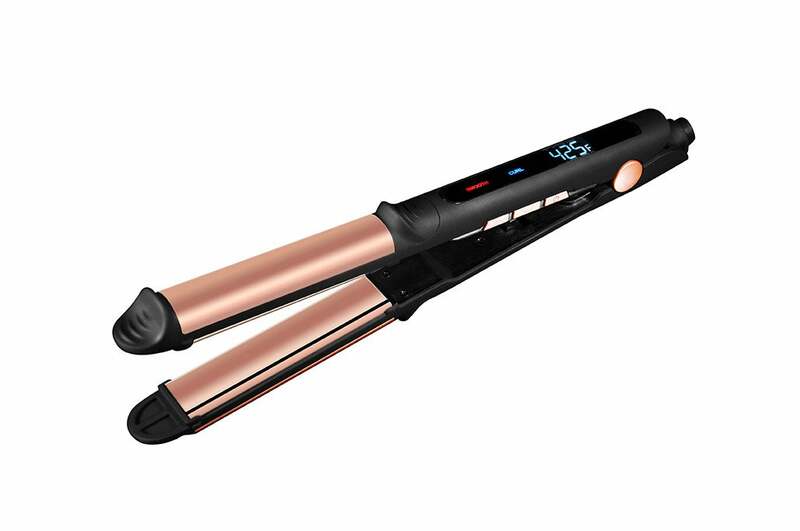 Not only is it a flat iron, curling iron and wand, but the ceramic plates are infused with Black Seed Oil, which leaves behind a healthy looking shine after just one pass. It also glides easily over the hair and temperatures range from up to 425 degrees Fahrenheit for the inner plates to 410 degrees Fahrenheit for the outer plates. 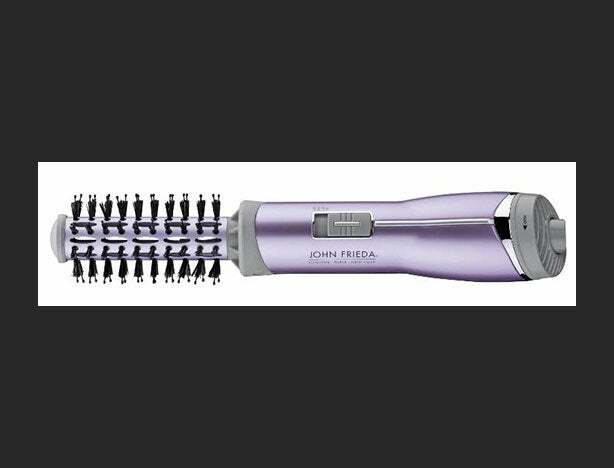 Every girl needs a good styling wand in her hot tool arsenal and this one doesn’t disappoint. It contains the same Digital SinglePass technology as the flat iron mentioned here and I liked that I only had to wrap my hair around it once for about two seconds in order to create perfect ringlets. One of the best parts about this wand is that it contains an interchangeable barrel so you can purchase other wands from the brand and add to it as needed. Perfect for your carry-on or gym bag, this flat iron is completely cordless so you won’t have to worry about finding an outlet. (Just make sure it’s completely charged before throwing it in your bag.) The ceramic plates lock in moisture and the CHI Ceramic Heater provides optimum temperature control for even heat distribution. 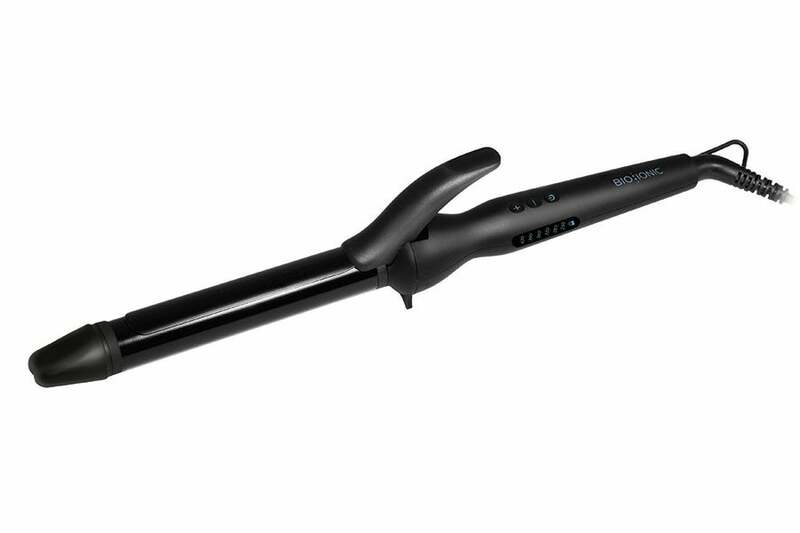 Infused with natural volcanic rock minerals, this iron is a pro when it comes to creating curls and waves that last. It emits negative ions that drive tiny water molecules into the hair leaving hair that looks shiny, moisturized and smooth after just one use. 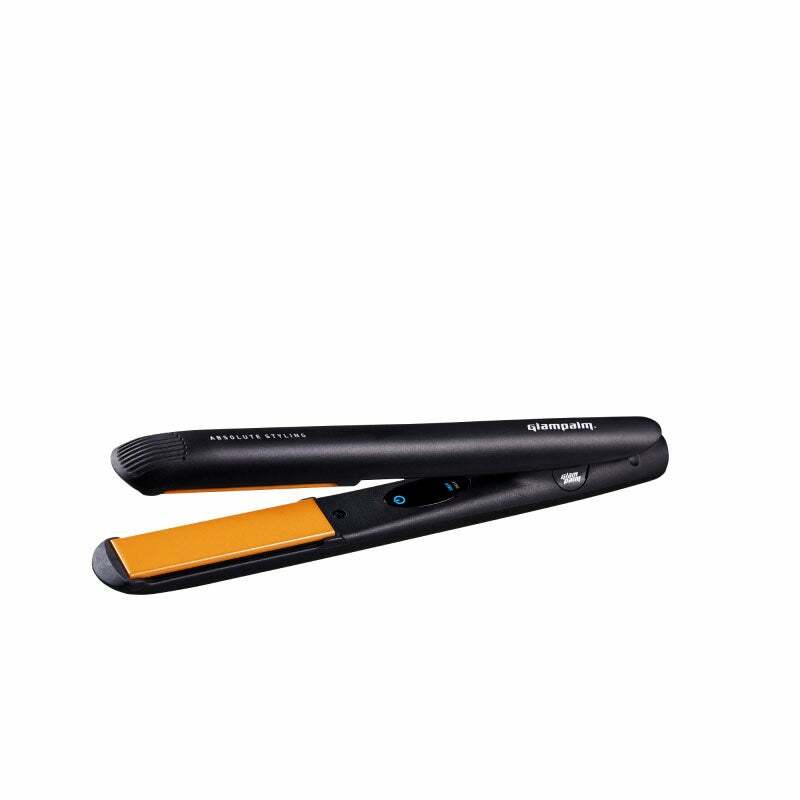 The plates on this iron are infused with keratin, argan oil, and macadamia oil to provide the hair with extra conditioning, alleviate frizz and add shine. It heats up to 450 degrees Fahrenheit and takes 15 seconds to heat up. I definitely noticed my hair was softer and shinier after just one pass when styling with it, so I’d highly recommend it for those fighting breakage and dryness. Sometimes you just want to (quickly) add a little bit of lift to your roots and this hot tool is perfect for that! 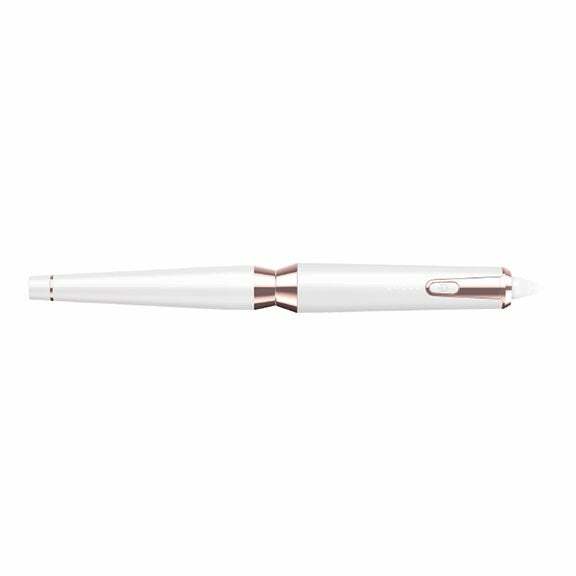 This hot air brush heats up quickly and contains a ceramic Titanium-coated barrel meaning it smoothly passes through strands so you won’t have to worry about creating tangles or knots. This tool is a lazy girl’s best friend. Just cut it on, pick the section of hair that you want to curl, clamp it down and watch as this tool miraculously curls your hair to perfection with just one click of a switch. Genius! Tired of curls or straight hair? Tap your inner 80’s girl and create some crimps. This look is definitely in for the season and this mini iron makes it easy to create the fun look while on the go! 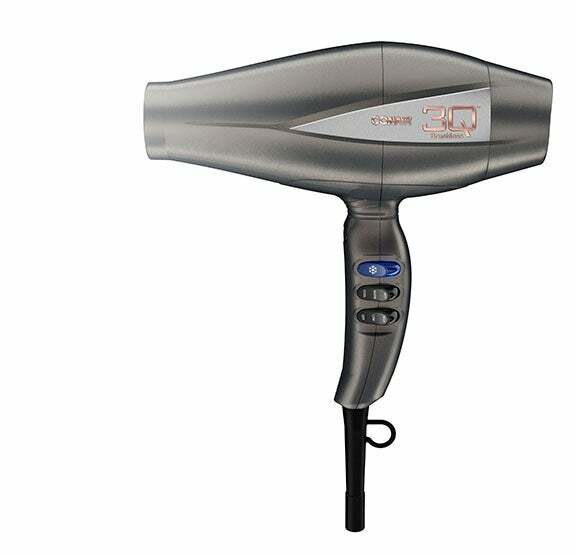 Cut your hair drying time by up to 70% with this lightweight, quiet blow dryer that promises up to 5,000 hours of life meaning that this is one that won’t burn out for a while. 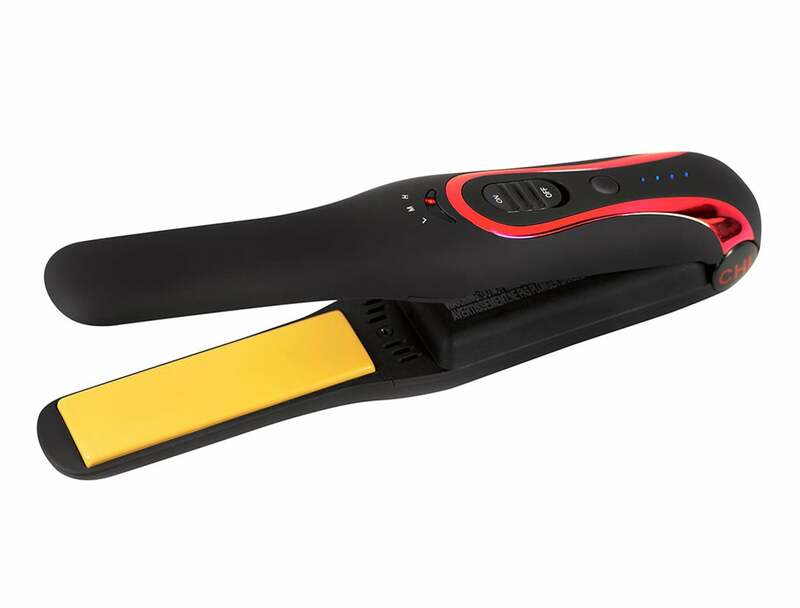 This flat iron takes only 10 seconds to heat up to 200 degrees making it perfect for styling in a hurry. Just plug it in and tap the plates together once to turn it on. Then, double tap it to adjust the temperature. If you sit it down for 30 seconds or more, it automatically turns off. It also contains Healing Stone infused ceramic plates to protect hair and a swivel system that makes it easy for styling hair at any angle. 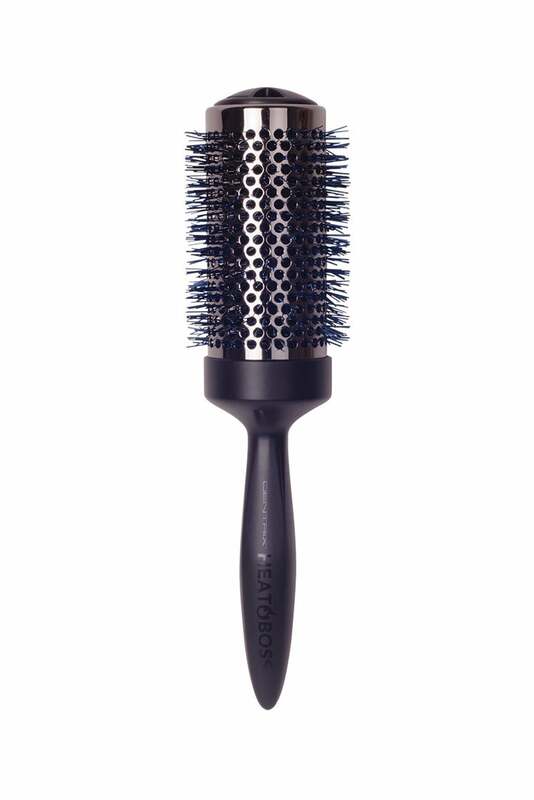 I love that this brush contains a Heat Force Dial that lets you control the amount of heat that goes onto your hair. You can either seal the heat in or let it flow with one simple switch of the dial at the top. 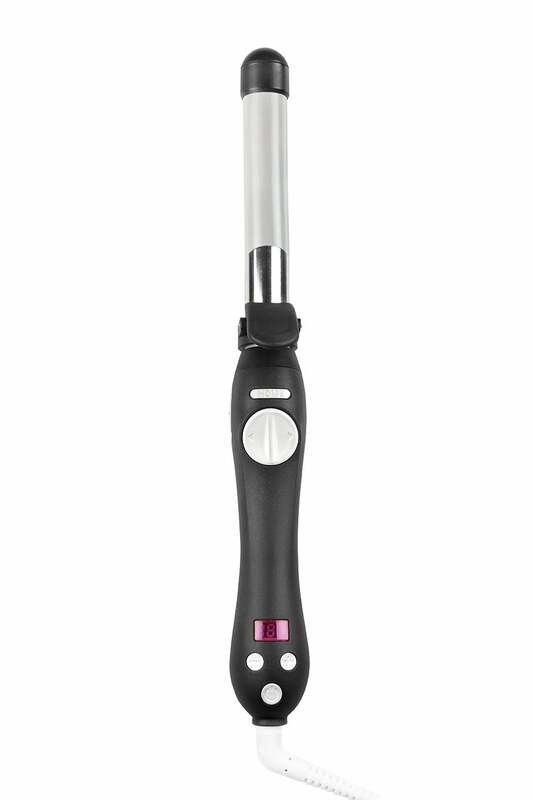 The contoured handle makes it comfortable to hold onto and the Ionic infused brushes can handle heat up to 570 degrees Fahrenheit.